I am starting a “WP7 ContextMenu in depth” series of articles in which I am going to talk about the Windows Phone 7 ContextMenu in details. 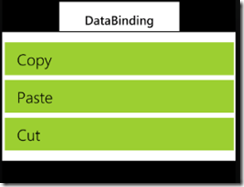 In this article “Part1: key concepts and API” I will talk about the key properties, events and the main features of the Windows Phone 7 Context Menu control in details. One of the new components in the Silverlight Toolkit is ContextMenu. Basically when the user taps and holds on any item the context menu appears. It is used in areas like for example the application list, where if you tap and hold an application you get the option to pin it to the start menu, uninstall, etc. ContextMenuService provides the system implementation for displaying a ContextMenu. Basically it consists of a “ContextMenu” attached dependency property. 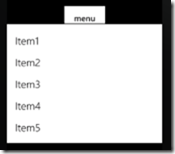 Identifies the ContextMenu attached property. IsOpen is a dependency property of type bool. It gets or sets a value indicating whether the ContextMenu is visible. IsZoomEnabled is a dependency property of type bool. It gets or sets a value indicating whether the background will zoom out when the ContextMenu is open. ItemContainerStyle is a dependency property of type Style .It gets or sets the Style that is applied to the container element generated for each item. VerticalOffset is a dependency property of type double. It gets or sets the vertical distance between the target origin and the popup alignment point. Closed occurs when a particular instance of a ContextMenu closes. 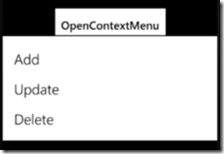 Opened occurs when a particular instance of a ContextMenu opens. Command is a dependency property of type ICommand. It gets or sets the command associated with the menu item. CommandParameter is a dependency property of type object. It gets or sets the parameter to pass to the Command property of a MenuItem. Header is a dependency property of type object. It gets or sets the item that labels the control. The default value is null. HeaderTemplate is a dependency property of type DataTemplate. It gets or sets a data template that is used to display the contents of the control’s header. Click occurs when a MenuItem is clicked. 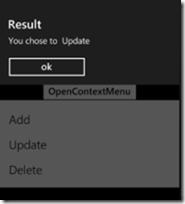 In this example when the user tap and hold the “OpenContextMenu” button as a result a context menu appears from where you can select from three options. After you choose an item a MessageBox appears with information about the selected operation. That was all about the key properties, events and the main features of the Windows Phone 7 ContextMenu in depth.